Miss Windows XP? 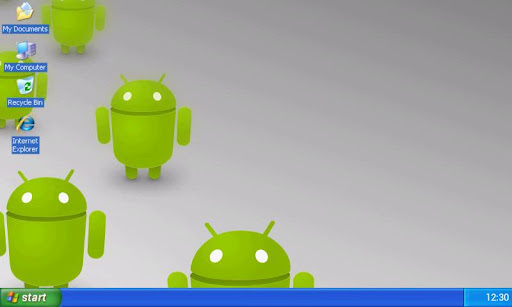 Ever wanted to know how it feels to run Windows XP on your smartphone? Well now you can, with XP Mod Launcher. XP Mod Launcher is a homescreen replacement app that is styled after Windows XP, from the way it looks down to its features and behavior — it even includes a Start Menu. Operating in landscape mode, and best if used on tablets but works on phones too, XP Mod Launcher looks and operates just like Windows XP: It includes a Start Menu from where you launch your apps and access folders, has icons on the ‘desktop’, has Windows XP folders while navigating files, has the ability to cut, copy, paste, and delete files and folders, uses double-tap (mimicking double-click) while navigating files, minimizes windows to the task bar, and even has the Windows XP boot/log out sound and screen. Since XP Mod Launcher is only a homescreen replacement app, and not a custom ROM, launching apps opens apps in their own screen; apps aren’t opened in ‘windows’ such as what would happen on a real Windows XP. And it should be noted XP Mod Launcher has a fully functioning file explorer — it allows you to open and view files, assuming you have the proper apps installed to read the files in question. The downside of XP Mod Launcher is it isn’t fully developed, yet. At this moment it is in Beta and clearly there are some features that still need to be added. For example, there doesn’t appear to be any way to add icons to the ‘desktop’; and some selections in the Start Menu, such as ‘Control Panel’ don’t work. Still, XP Mod Launcher is definitely an interesting app, if only for fun and not productivity. Don’t know how to tie a tie? How To Tie a Tie is here to help. 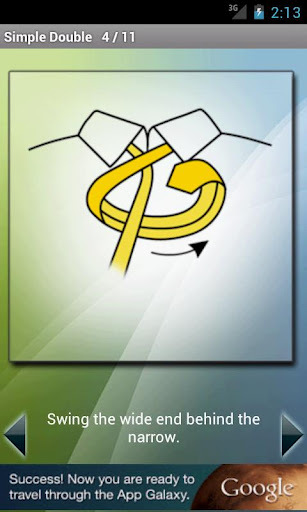 How to Tie a Tie provides step-by-step directions, along with images, on how to… tie a tie. You can view the directions in ‘Normal’ mode which shows images as if you are looking at a person wearing the tie or in ‘Mirror’ mode which shows images as if you are wearing a tie and looking in a mirror. In total How to Tie a Tie provides directions for thirteen different tie styles (technically twelve tie styles and one bow tie): Atlantic, Diagonal, Four-in-hand, Half Windsor, Kelvin, Oriental, Persian, Plattsburg, Pratt, Simple Double, St. Andrew, Windsor, and Bow Tie. How to Tie a Tie comes in free and paid versions. Free version has all the features mentioned above and is ad-supported. Paid version is ad-free and provides directions on twenty styles, as opposed to thirteen. Enjoyed Garfield’s Defense? 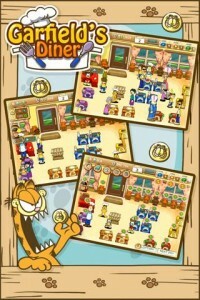 Well Garfield is back and this time him and his crew are in charge of Irma’s diner while she is on vacation in Hawaii. 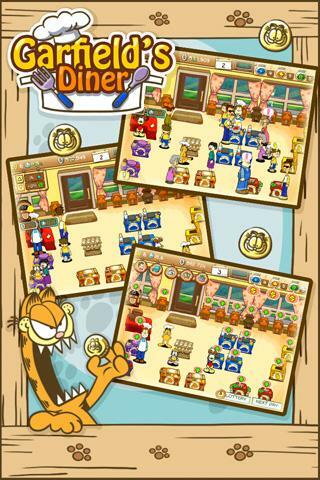 Garfield’s Diner is a time management game in which you initially start off controlling Jon who must attend to customers who come to the diner; you sit customers, make their food, and take their money after they are finished. There are also ‘Garfield Cards’ which appear through stages which you can collect. As you progress through the game you have the ability to upgrade Jon, buy assistance in the form of Garfield and friends, and upgrade diner items to improve you diner operations. You can use in-game cash earned by running the diner or make in-app purchases to get money. Beware at time random special guests may arrive whom you must attend to!